Uber is facing fines from UK and Dutch authorities related to a 2016 data breach that exposed the personal records and data of the company's customers, as well as its drivers. The UK's Information Commissioner's Office (ICO) issued a fine of £385,000 ($490,300) against Uber on November 27. On the same day, the Dutch Data Protection Authority (DPA) levied its own €600,000 ($677,000) fine against the ride-sharing firm. The fines stem from a 2016 data breach, when cybercriminals stole some 57 million records from Uber, including personal information on both drivers and customers. In the UK, the breach affected some 2.7 million customers and the data included names, email addresses and phone numbers. Additionally, the attackers accessed the journey routes and fees of about 82,000 Uber drivers. In the Netherlands, 174,000 residents were affected, with their names, email addresses and phone numbers exposed. As part of that deal, California also settled charges brought by other states against Uber. As part of its report, investigators with the ICO noted that the cybercriminals used credentials-stuffing, a brute-force attack used to guess at passwords, to gain access to Uber's data, which was stored in the cloud. Following the incident, the company hushed up the incident for 13 months until finally disclosing it to the public. In addition, Uber paid the attackers about $100,000 to regain the stolen data. 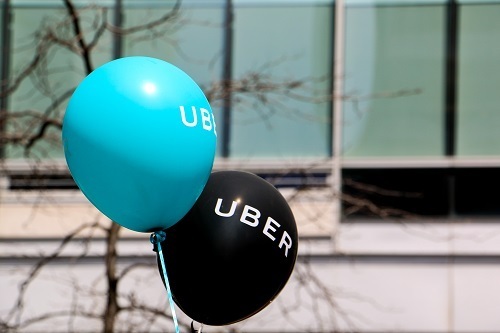 "This was not only a serious failure of data security on Uber's part, but a complete disregard for the customers and drivers whose personal information was stolen," ICO Director of Investigations Steve Eckersley wrote in a statement. "At the time, no steps were taken to inform anyone affected by the breach, or to offer help and support. That left them vulnerable." Following the disclosure, current Uber CEO Dara Khosrowshahi has implemented a number of new security and data protection practices at the company, including the hiring of new a chief privacy officer and a data protection officer. We're pleased to close this chapter on the data incident from 2016. As we shared with European authorities during their investigations, we've made a number of technical improvements to the security of our systems both in the immediate wake of the incident as well as in the years since. We've also made significant changes in leadership to ensure proper transparency with regulators and customers moving forward. Earlier this year we hired our first chief privacy officer, data protection officer, and a new chief trust and security officer. We learn from our mistakes and continue our commitment to earn the trust of our users every day. Right now, Uber is valued at more than $72 billion, according to reports.